Edgewood real estate is surprisingly affordable for such a hot in-town location. There is a healthy mix of Craftsman bungalows and ranches built in the early to mid-1900s as well as numerous newer homes, built since 1990. And whether one is in the market for a single family home or a condo, Edgewood has a variety of both. There are numerous parks and a large development of soccer fields, bringing together visitors and residents on a daily basis. Edgewood is a small but thriving neighborhood east of the city of Atlanta. 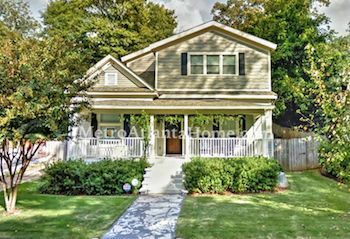 Bordered by DeKalb Avenue to the north, Moreland Avenue to the west, I-20 to the south, and Hosea L. Williams Drive to the east, Edgewood boasts not only shopping, dining, and recreation areas but also gorgeous bungalow homes. During the economic development of Atlanta in the post-Civil War era of 1870-1910, business leaders and government officials alike determined a need for both recreation and residential development because of the quick rate of population growth as well as the ever increasing number of downtown workers. Edgewood, along with several other Intown neighborhoods, was then developed. In recent years, Edgewood has grown exponentially. 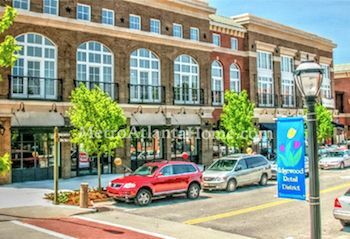 For instance, the Edgewood Commercial District houses numerous retail shops and eateries, including Lowe’s Home Improvement, Target, Best Buy, Barnes & Noble, Kroger, and numerous others. 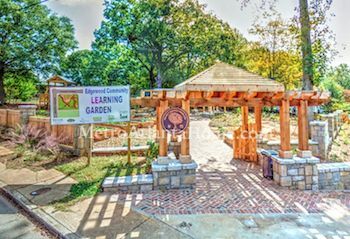 The Edgewood Community Learning Garden is thriving; a playground, benches, gazebo, along with chickens, bees, and vegetable garden plots, is used to educate local school children as well as bring the community together. The Organized Neighbors of Edgewood is a thriving neighborhood association dedicated to the preservation and advancement of Edgewood. Constantly growing and within easy access to other Atlanta neighborhoods, Edgewood will remain one of Atlanta’s most desirable Intown neighborhoods.